Friday, October 2nd, at 8:15pm in the BYCF Lobby as we watch An Ecology Of Mind. Free of charge. Open to all! AN ECOLOGY OF MIND is a portrait of Gregory Bateson, celebrated anthropologist, philosopher, author, naturalist, and systems theorist. His story is lovingly told by his youngest daughter, Nora, with footage from Gregory’s own films shot in the 1930s with his wife Margaret Mead in Bali and New Guinea, along with photographs, filmed lectures, and interviews. 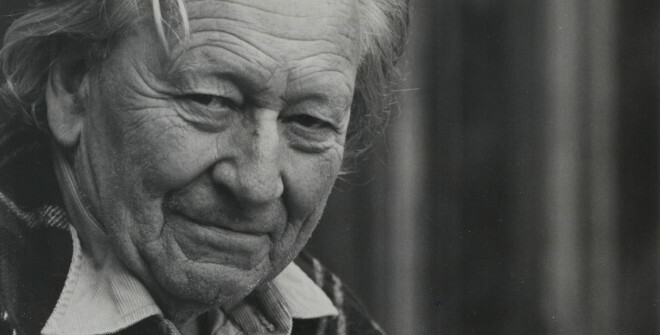 Gregory Bateson was a man who studied the interrelationships of the complex systems we live in with scientific rigor and enormous integrity. His theories, such as “the double bind” and “the pattern which connects”, continue to impact the fields of anthropology, psychiatry, information science, cybernetics, urban planning, biology, and ecology, challenging people to think in new ways. Through this film, Nora Bateson sets out to show that his ideas are not just fodder for academic theory, but can help instruct a way of life. She presents his thinking using a richly personal perspective, focusing on the stories Bateson used to present his ideas and how the beauty of life itself provided the framework of his life’s pursuits.